A recent study has estimated that 42,000 direct and indirect jobs could be created with increased electronics recycling in the US, in addition to generating an extra US$1 billion payroll. 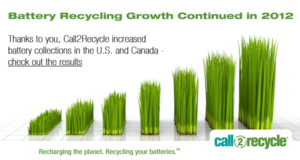 The Coalition for American Electronics Recycling (CAER) contracted DSM Environmental Services, Inc. (DSM) to estimate the number of jobs associated with e-waste recycling in the US, and to project how many jobs might be created with increased domestic e-waste recycling. The report highlights the uncertainties around just how much of the electronics scrap collected in the US is actually processed domestically as opposed to being exported for processing. Despite the uncertainties, DSM found the processing e-waste in the US instead of exporting it to developing countries would create 21,000 full-time equivalent recycling jobs with a corresponding payroll of US$772 million, with the potential to create another 21,000 indirect jobs and their associated economic activity. ChemLink has released the report ’2012 Chemical Regulatory Review and Predictions for 2013 – China, Japan, Korea and Other Country/Region’. The report is available in English-Chinese bilingual format.